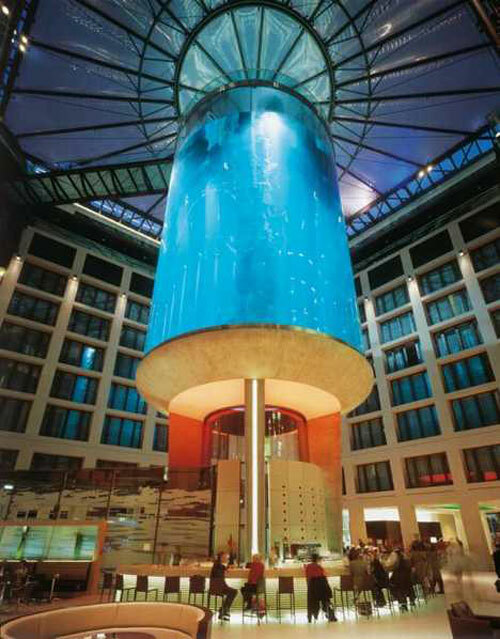 These are just a few of the most beautiful places in the world, most interesting and captivating aquariums, where you can easily break into the mesmerizing secrets of the underwater world. World’s Largest Aquarium - Georgia Aquarium, Atlanta, a wonderful home for more than 100,000 animals of 500 different species (notable specimens: whale sharks, beluga whales, manta ray) and with a capacity of 8.1 million US gallons (31,000 m³) of marine fresh water. World’s Second Largest Aquarium - Churaumi Aquarium,part of the Ocean Expo Commemorative National Government Park located in Motobu, Okinawa, Japan; capacity: 7,500-cubic meters (1,981,290 gallons) of water; one of the few places where visitors can see a great variety of sea creatures including sharks and manta rays. Largest Aquarium in Europe - Acquario di Genova – [10,000m2 area, 70 water tanks] a spectacular structure and an emotional trip across the immensity of the oceans. Largest Aquarium in Australia - AQWA, an unbelievable journey to the underwater world of Western Australia, “from the icy waters of the southern ocean to the tropical wonderland of coral reefs in the Far North” . Largest Aquarium in Africa - UShaka Marine World, located on the strip of land between the beachfront and the harbor in Durban, KwaZulu-Natal, South Africa; a beautiful amusement park and at the same time the worlds fifth largest aquarium with 32 water tanks. The sea creatures found in the aquarium range from small sea horses all the way through to sharks and dolphins. 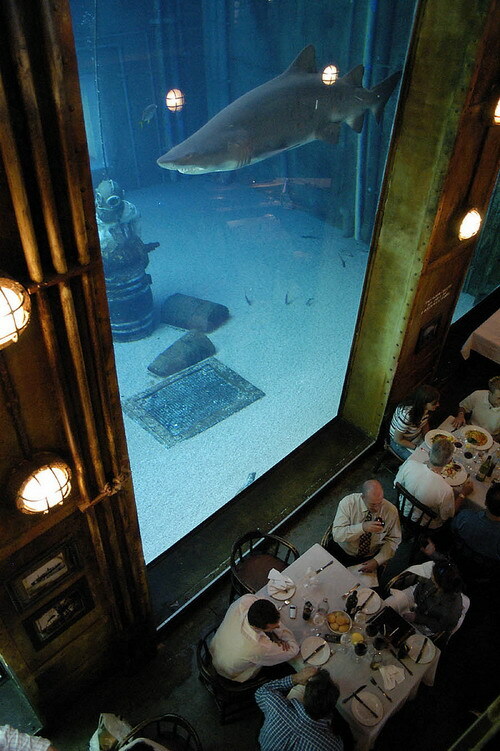 The Aquarium is built to look like an old wreck. 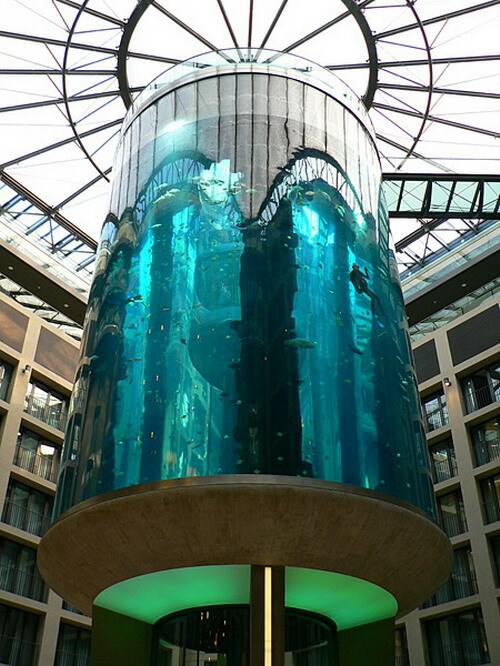 World’s Largest Cylindrical Aquarium - AquaDom, Radisson Hotel Aquarium, Berlin; 25 meters high aquarium, with a capacity of 260,000 gallons of water and over 2,500 fish (56 species); visitors can travel through the aquarium using an encased elevator and get to the top where there is a restaurant and an open view of the city; hotel rooms can also experience the underwater view. 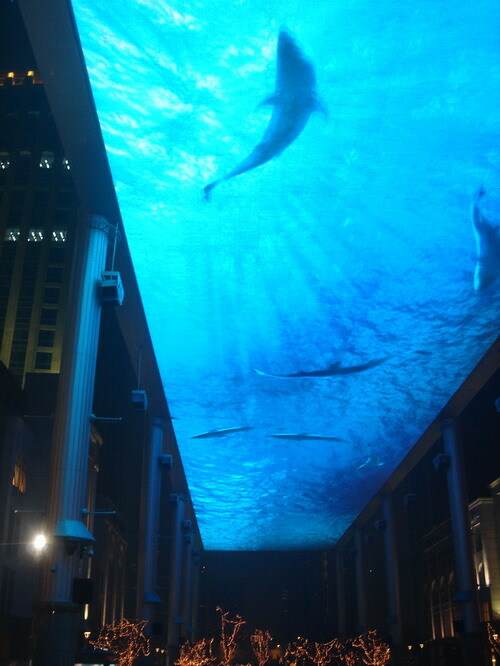 Future to be World’s Largest Indoor Aquarium - The Dubai Aquarium - vast, entertaining, an engineering marvel, three storeys tall and featuring glass ‘walk-through’ tunnels that will contain exotic marine life. Opening delayed until October 30, 2008. 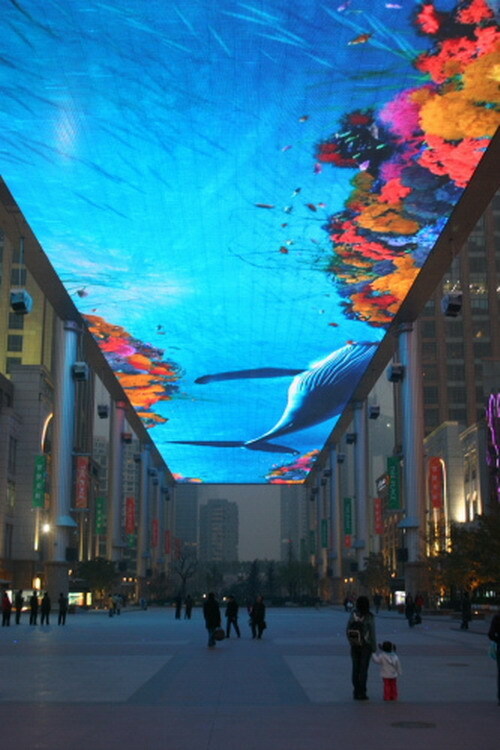 World’s Largest Virtual Fish Tank - 30 by 250 meters LED screen or 32 million dollar Virtual Aquarium mounted at about 80 feet in the air between two shopping malls in Beijing. Wow. I would love to go there. I'm very fond of fish. But I'm wondering is the aquarium cleaning difficult there?